Wondering if you got a NCLEX passing score after taking the computerized test can be a terrifying experience. Waiting weeks upon weeks to discover if you can finally become a licensed nurse might feel like an exercise in torture, not a capstone experience. You don’t want to leave your dream hanging by a thread. You want real, bona fide facts that indicate you’ve achieved the passing standard for the 2014 NCSBN test. Don’t waste your time gazing at old outdated practice questions for the NCLEX RN, testing statistics and publications, hoping against hope you aced your test questions. You need answers that will eliminate the anxiety, worry, and depression of waiting for your Licensure examination results – and you need them now. According to the NCSBN website, the Board of Registered Nursing (BRN) opted to raise the passing standard for the NCLEX-RN examination from -0.16 logits to 0.00 logits, which began on April 1, 2013. A logit is a unit that reports the differences between the candidate’s ability and the test item difficulties. The greater the difference, the less likely it is that you’ve achieved the magic NCLEX passing score. If you’re worried that the recent test changes have left you standing on the wrong side of the passing percentage, a new method called “The Tell-Tale NCLEX Passing Score” can help you accurately determine if you’ve passed or failed your nursing exam. If you answered “yes” to this question, this doesn’t mean that you’ve miserably flunked the NCLEX. In fact, this is a very positive sign that you’ve passed the NCLEX-RN exam. Because the test adapts to your competency skills, difficult questions are a sign that you’re doing very well. In other words: don’t use this as evidence you’ve failed. Use it as very heart-warming evidence that you’ve achieved the magic pass rate. If the computer shut off when you were at question 85 or even 76, don’t panic and interpret this as a sign you didn’t pass the exam. Your test will only continue until you’ve reached the minimum passing standard; therefore, it won’t immediately shut off if you’ve dipped below the pass rate. This is a very strong sign that you’ve already reached the minimum levels required to pass. Remember the last question you took on the test and look it up to see if you got the right answer. If you were correct, chances are you passed. If you got it wrong, it’s a very strong possibility you didn’t achieve the necessary pass rate. What If You Used This Technique Right Now? Don’t waste anymore of your precious time worrying if you passed or got a failing NCLEX test score. If you implement “The Tell-Tale NCLEX Passing Score” technique, you can gain a very strong idea about your performance on the NCLEX-RN exam. Once you put this technique to good use, you can hit the ground running with your next steps, like applying to nursing school or re-studying the test content. 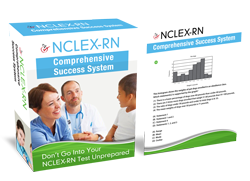 Go to: NCLEX-RN Practice Questions By REAL RN Nurses Who Passed! now.